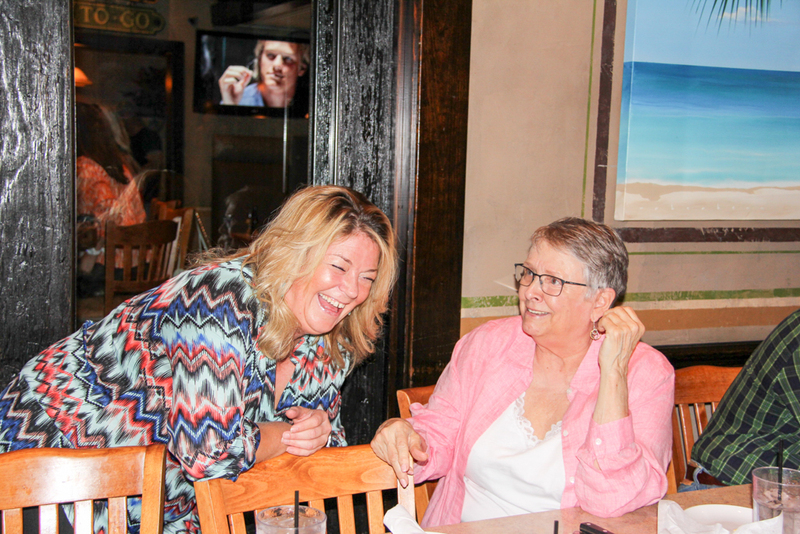 I had the pleasure of joining members from our Good Eats Foodie Group at Alicia’s Mexican Grille in Cypress this past September. There were twenty to twenty-five members mingling and enjoying cocktails when I arrived around 7:00 PM. After the initial meet and greet was completed, the first course of appetizers was served. The aroma permeated the air and there was no shortage of “ooohs” and “aaaahs” as the plates were presented to each table. We started with Nachos al Carbon. 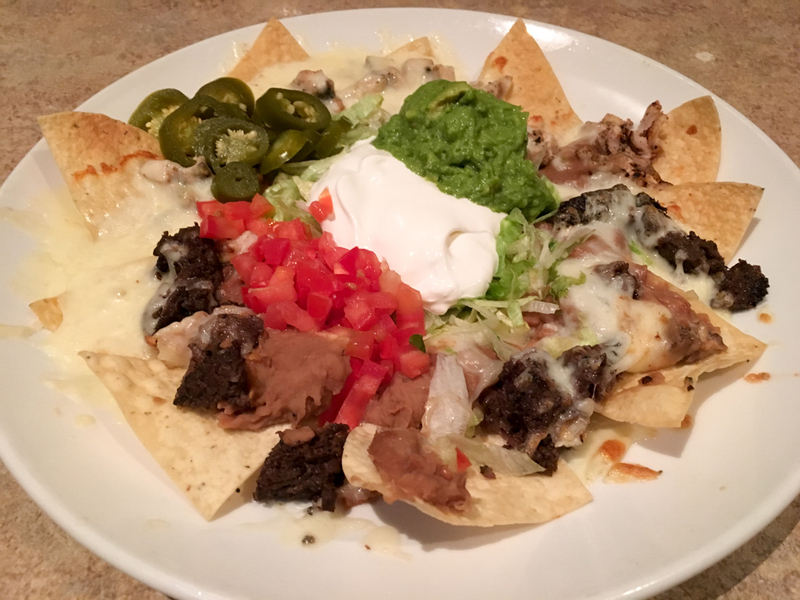 This pile of gooeyness consisted of beef and chicken fajita meat, beans, monterey jack cheese, jalapeno peppers, guacamole, and sour cream. 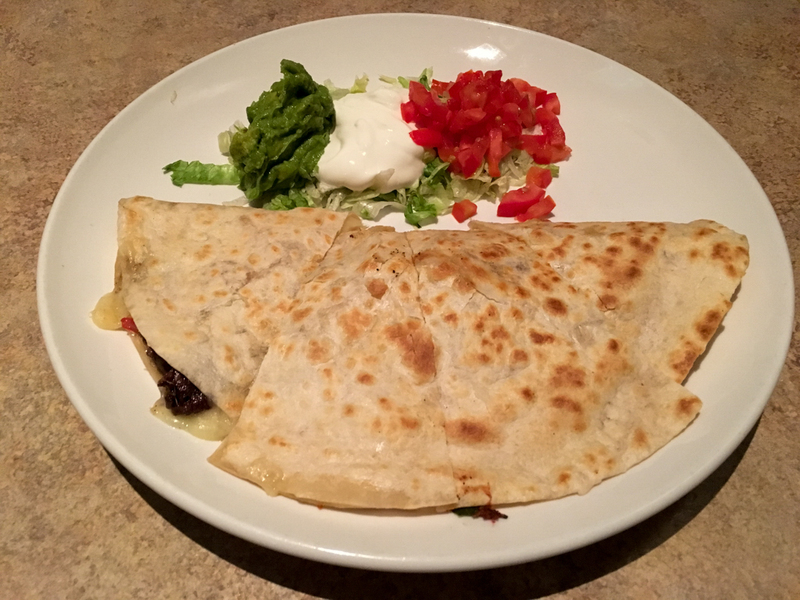 We were also served Chicken and Beef Quesadillas which were loaded with meat, pico de gallo, diced tomatoes, guacamole, and sour cream. 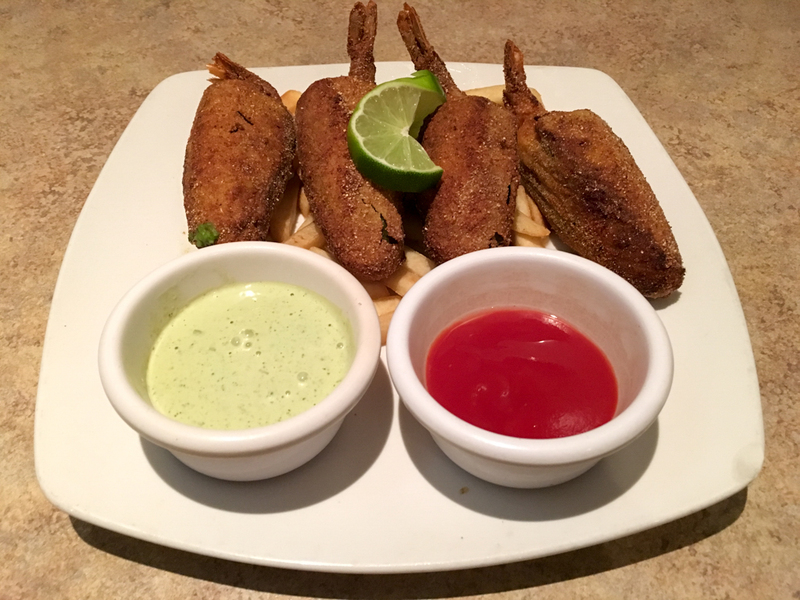 The final appetizer for the evening was Colas de Raton – 3 whole fresh jalapenos stuffed with Monterey jack, cream cheese, cheddar cheese, and a jumbo fresh Gulf shrimp, lightly breaded and fried. 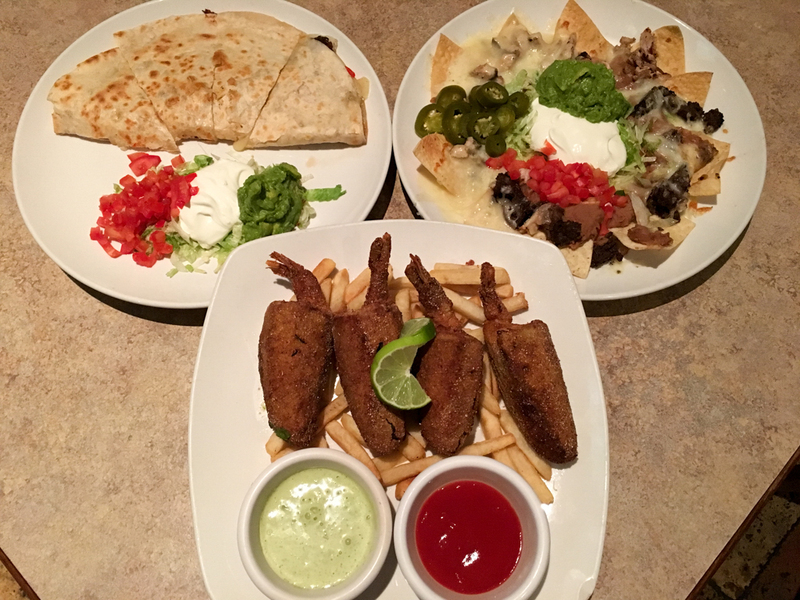 These were served with ranch dressing, which made the flavors pop! With all the appetizers, I didn’t think there would be room for anything further. But I was wrong! The minute we were presented with our entrees, my mouth started watering. First up was Alicia’s Molcajete. This was a bowl of cheesy goodness. 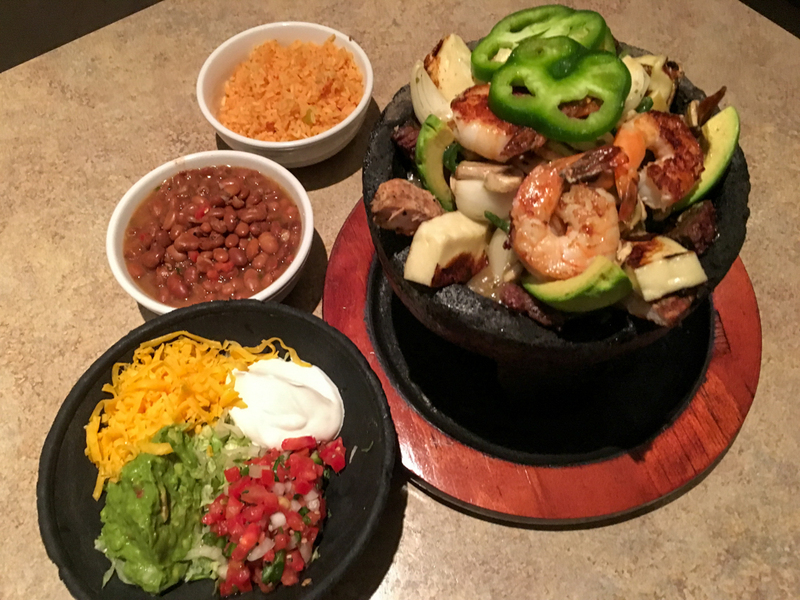 It consisted of grilled palena cheese, shrimp, chicken fajitas, beef fajitas, and avocados served inside a sizzling, steamy hot molcajete. The items inside were artichoke hearts, field mushrooms, poblano peppers, and scallions served with roasted tomatillo sauce. This bowl was a serving for two people but I would bet that I could have finished it off all on my own! 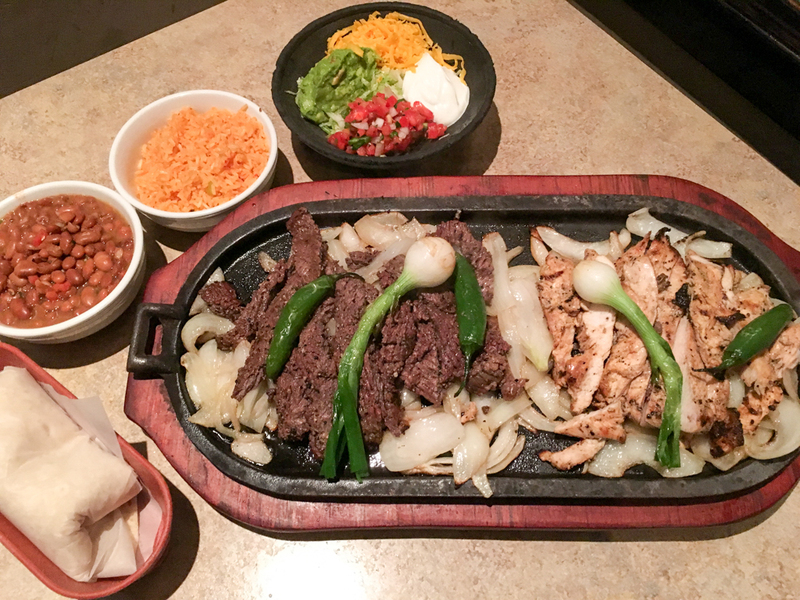 Next we were presented with their Parrillada Mixta which consisted of chicken fajitas served with two extra jumbo shrimp per person with your choice of refried or charro beans. The chicken was grilled to perfection and those shrimp were big and juicy. Our last main course was the Chicken Alicia. 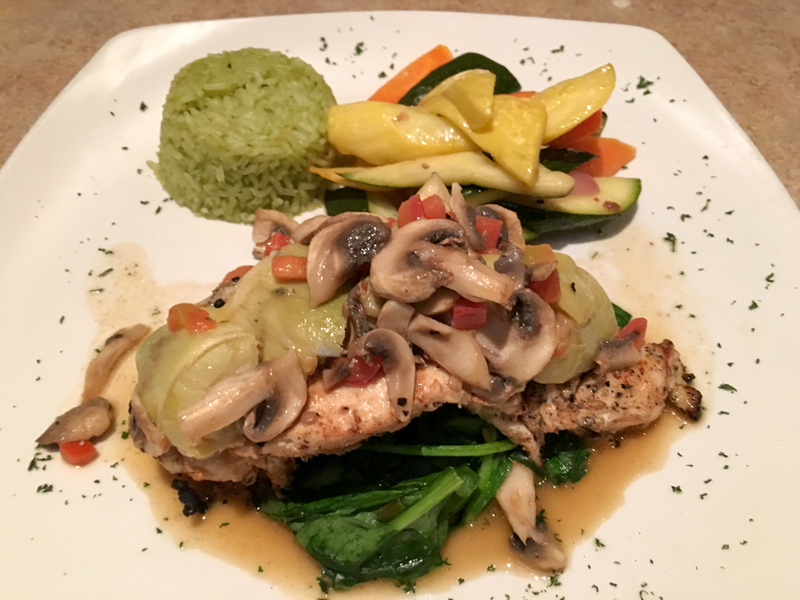 This plate included grilled chicken breast with sautéed field mushrooms and artichoke hearts served over a bed of lovely spinach in a white wine and lemon butter sauce with just a hint of garlic. This was some of the most tender and juicy chicken I have ever tasted! It was served with lettuce, tomatoes and slices of fresh avocado. This was one of the best dishes I have ever tried! Finally, it was time to sample desserts! 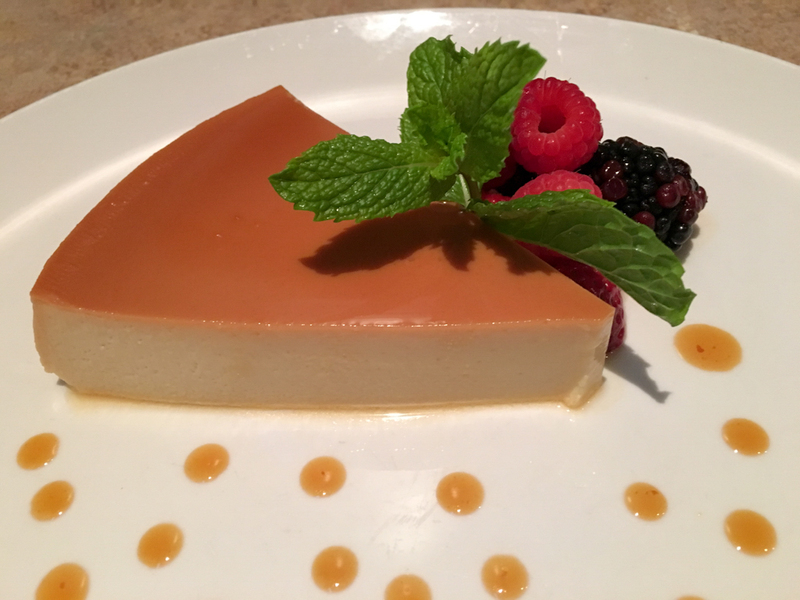 We enjoyed Flan, Tres Leches and Chocolate Tuxedo Cake. 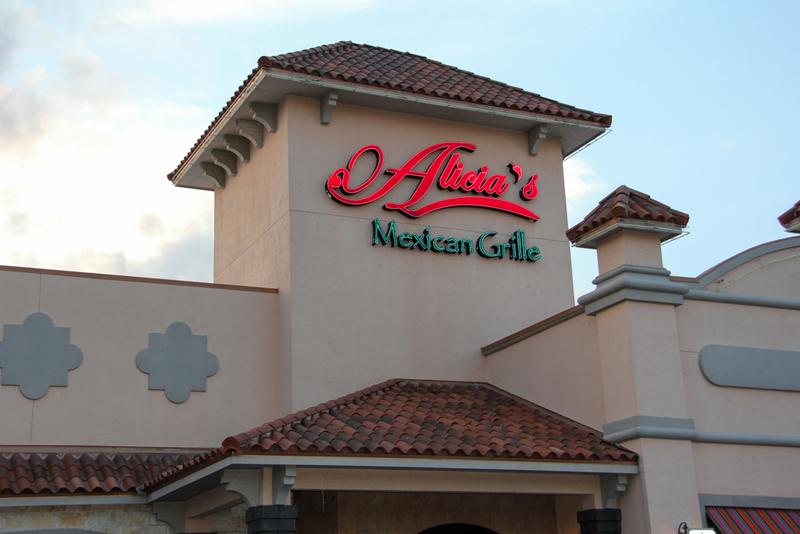 In general I am not a big fan of flan, but Alicia’s Mexican Grille has changed my mind! 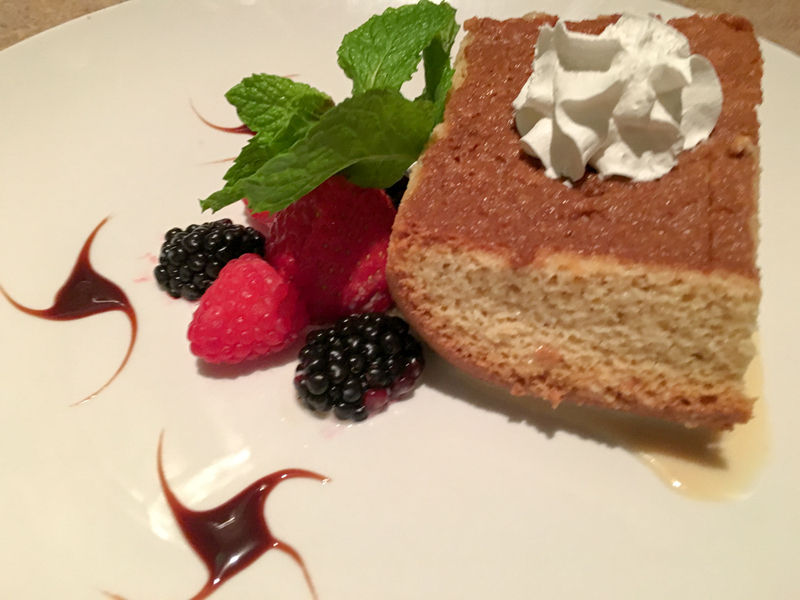 It had a cheesecake-like consistency that was scrumptious! 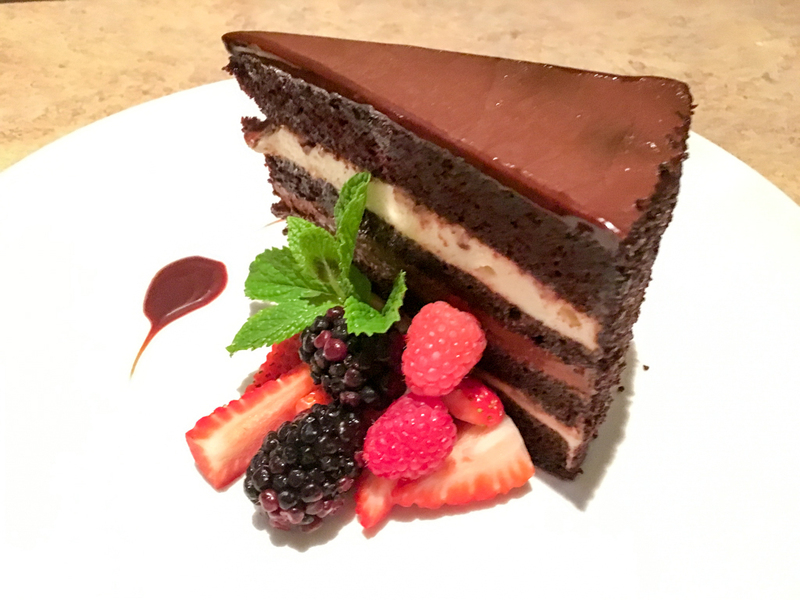 However, you can’t go wrong ordering either the Tres Leches or the Chocolate Tuxedo Cake. They were equally delicious! After everyone was full and satisfied, we enjoyed more cocktails and each other’s company. 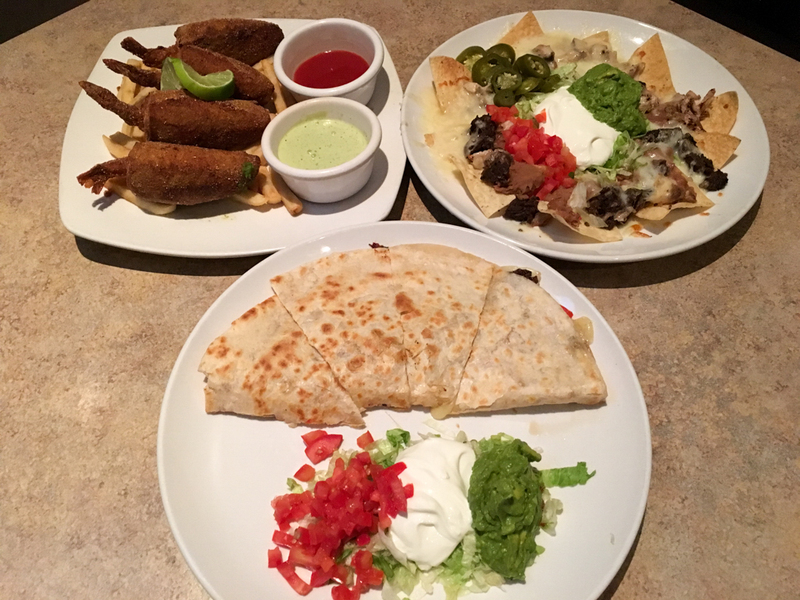 All in all, Alicia’s Mexican Grille hit the spot because it was conveniently located, had an outstanding staff, and the flavors were impressive! If you haven’t had a chance to check this great place out, why not hit them up this weekend? You won’t be disappointed!